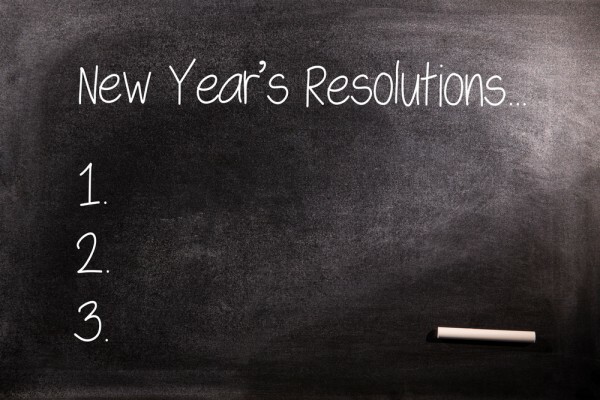 Setting goals and resolutions isn’t just for New Year’s. In fact, psychologists have found that only 8% of people manage to achieve their New Year’s resolutions – so maybe it’s not best to try to set a goal when you’re tipsy off of champagne and watching the ball drop in NYC. But that doesn’t mean that sticking to your resolutions is easy at any time of the year. Whether you’re trying to lose weight, looking to increase your performance at the hospital, or trying to improve yourself psychologically or spiritually, setting a goal and keeping it can be tough – especially for a nurse with a busy life. That’s why we’ve put together this article. You’ll find 5 simple ways to help you stick to your goals and resolutions – no matter what they might be. This is probably the most important piece of advice here. If you don’t set a reasonable goal, you won’t be able to achieve anything – which can be psychologically devastating to your strength of will. Don’t set your goal to be “Run a 5K in 17 minutes and beat that skinny nurse down the hall who’s always bragging about how much she works out”. Instead, realize that you’re only competing with yourself – and setting a reasonable goal is a great way to ensure that you’re able to follow through on your resolutions. Setting reasonable goals is also helpful because they help give you more willpower as you meet them – if you run a 5k without stopping for the first time, you’ll know that you’ve truly achieved something. And after that, you can continue towards your next goal. Specificity is also key for goals. Don’t say to yourself “I want to improve my bedside manners”. That’s too vague – what does that really mean? Does that mean paying better attention to your patients? Answering to “call nurse” alarms more quickly? Being more emotionally available to the families of your patients? Be specific. If you do want to improve your bedside manners, tell yourself “I’m going to make one patient smile today” and go from there. Choose a specific thing to focus on, and you’ll be able to achieve it. If your goal or resolution is vague, you can’t ever truly stick to it – because you don’t even know what it is! Give Yourself Some Wiggle Room – But Not Too Much! You’re human. We all are. You’re going to struggle sometimes, and you may fail to meet a particular goal or stick to your resolution. Maybe you told yourself you weren’t going to eat sweets at the hospital anymore, but it was your co-workers birthday, and you just had to. That’s okay! A little bit of wiggle room is not a bad thing. In fact, it can be very helpful to achieving your goals. Understanding that you’re human and imperfect but still trying your best is a fantastic attitude to have. Just realize that, if you deviate from the goals you set for yourself, it’s just a detour. You’re still heading in the right direction, and nothing can stop you from achieving what you want. You got through nursing school. You passed your NCLEX-RN. You might even have an advanced nursing degree, or be a nurse practitioner! Think about that! These things are insanely hard to do, and you shouldn’t sell yourself short about your past achievements, whether they’re work-related, educational, or personal. Looking back at what you’ve done in the past can give you the drive that you need to fulfill your goals and resolutions. You’ve already accomplished so much in your life and career – losing 5 pounds, cutting out sugar, or focusing more on your work should be a snap for you! This is often an overlooked aspect of managing resolutions and goals. Don’t surround yourself with things that could tempt you – whether you’re trying to lose a bit of weight and you see a box of donuts in the break room, or you’ve pledged to be nicer to people, but that one nurse that you just can’t stand just walked up to the nurse’s station. Get away from things that may sap your drive and cause you to lose track of your resolutions. Avoidance is not a coping mechanism – it’s a strategy to keep you focused, and away from temptation. Get Motivated, Get Ready, And Get To It! If you follow these tips, there’s nothing that can stop you from achieving your goals, whether they’re personal or work-related. Set a reasonable, clear goal. Realize that you’re not perfect and that you may stumble on your way towards your goals. Think about what you’ve achieved in the past. And get away from temptation when it strikes. Following these steps won’t guarantee your success – but it just might make things a whole lot easier for you. So get motivated, set your goals, and meet them! Remember, the only thing stopping you – is you!